Friday afternoon was a perfect winters day, with no wind and clear blue skies. 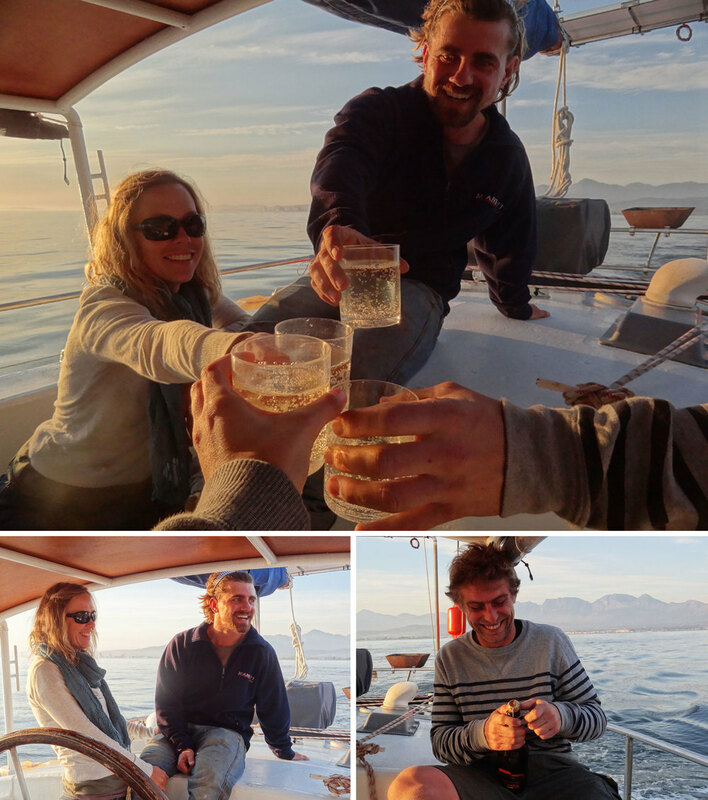 We left Harbour Island after a good week of work and headed for Kogel Bay for the evening. 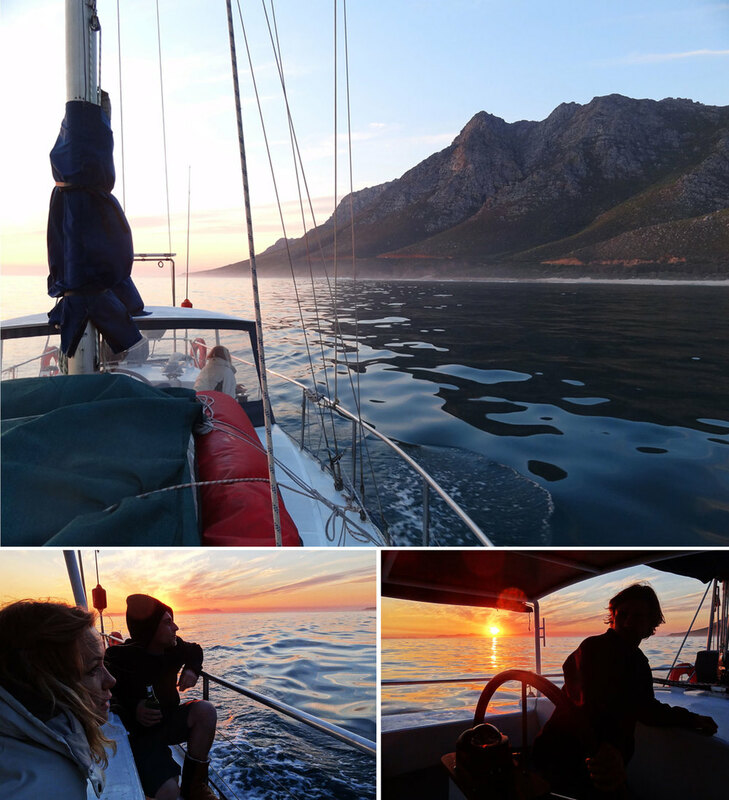 Being able to anchor, for the first time as a team, next to the spectacular coast line along False Bay was an unbelievable privilege and a reminder of the incredible beauty we are surrounded by in South Africa. We enjoyed the sunset with some sparkling wine and a braai and with our tummies full we all headed for bed. 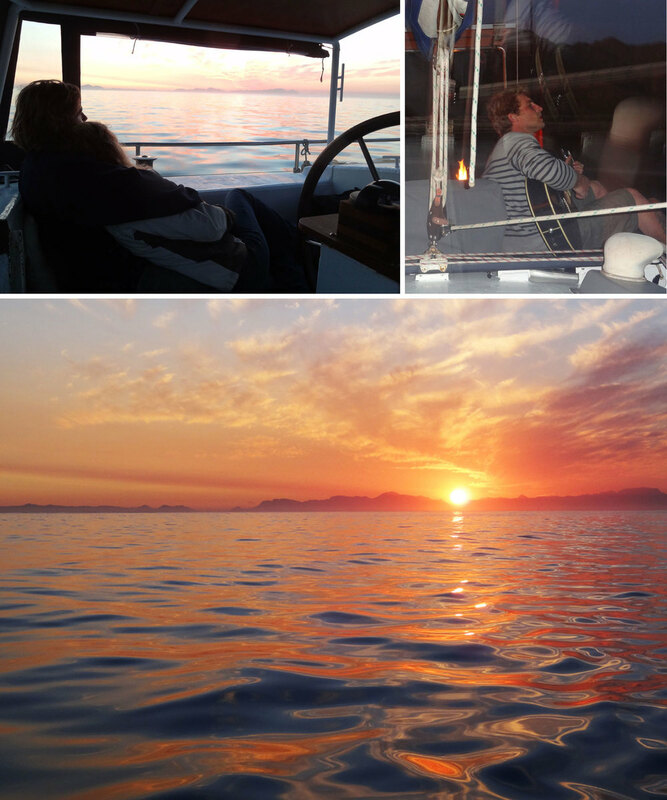 Everyone struggled to sleep with the unfamiliar movements and sounds of being out at sea. 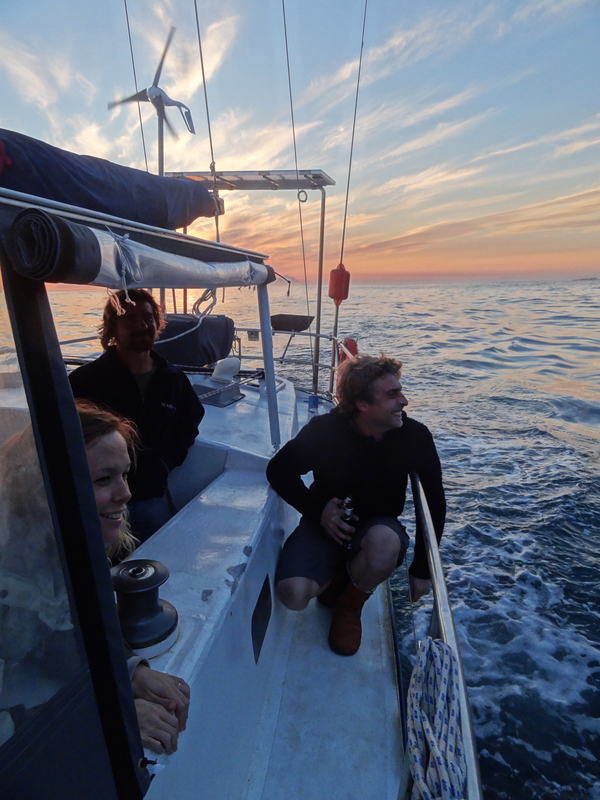 The peaceful evening turned into a windy night and the boys spent the remainder of it doing anchor watches. 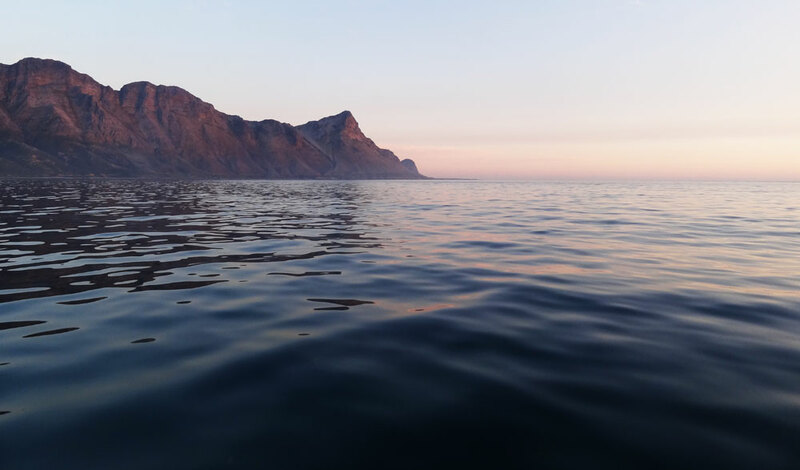 At six in the morning and after what felt like an eternity (an hour and a half) to our weary bodies and tired eyes we managed to lift the anchor and start on our way home. The motor back started off well but as we came round the point, the 12 knot South Easter that had been predicted was a hauling 50 knots! Our new spray dodger saved us from being drenched and as we approached the entrance to Harbour Island the wind thankfully died down, allowing us to enter safely. It was an eventful experience and a great shake down sail, allowing us to test out systems that need a little work as well as reiterating how well we all work as a team. I couldn’t imagine taking this journey on with a different group of people and I cannot wait for the insane adventures we’ll be sharing together.